As search engine optimization continues to become more complex, the amount of time spent on generating ideal outcomes grows alongside it. Unfortunately for those just starting, copious amounts of time are required to generate substantial improvements – and most of it is in the form of gradual, consistent maintenance. Nevertheless, sites that are established and/or have a decent amount of content can often generate a substantial improvement in performance from just a few simple tweaks. 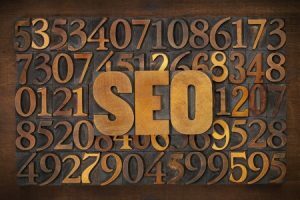 While some aspects of SEO are time-consuming, others may deliver big results for relatively little effort. Today, we’ll look at some quick fixes relating to SEO that may produce big returns for your brand. One of the easiest ways to plan an effective SEO strategy is to see what your more formidable competition is doing. When targeting the same audiences with the same products or services, keyword analysis can prove very useful in improving your long-term outcomes. With this information in hand, you now know which specific markets your competitors are targeting. This not only allows you to compete on every front and cede no one, but it also can be helpful in situations where your competition is bigger and more established than you. Chances are that they can afford more SEO, marketing and content research; they’re targeting these keywords and SERPs for a reason. Most newer websites are already built with mobile visitors in mind. After all, with a majority of search engine traffic flowing via mobile devices, you’re pinging links and content to an audience that’s largely on-the-go. In a very short period of time, you can implement a variety of mobile optimizations that’ll improve overall SEO performance in mobile search results. Perhaps the biggest and most important optimization is the implementation of mobile responsive design. Without a dynamic web design that adapts to the user’s browser and device, you’ll lose traffic and be penalized by search engines, too. Likewise, you’ll want to inspect various aspects of the website for areas where page speed can be improved. There’s a plethora of evidence to show that faster-loading pages rank higher in search; thankfully, there are many tools available that can analyze and make improvements to your website. There’s a reason the internet is sometimes referred to as “the web”: every website and page is connected by links and other pages. Without this structure, it would be quite difficult to navigate or even discover new websites. One such task that doesn’t take tons of time is to inspect your website for broken links or duplicate information. The broken links could be costing you valuable SEO clout and frustrating your visitors at the same time, so tidying those up is good both from a functional and a technical point of view. Additionally, taking this opportunity to scour your website in search of excessive duplicate content and/or poorly-written or thin content – and getting rid of it – can provide a quick boost of energy to your SEO prospects. Comprehensive SEO takes plenty of time, work and patience. Despite this, you don’t have to wait around forever to see some improvements. Whether you’re pinging links to local audiences or targeting customers around the world, these three relatively simple and quick tasks can cumulatively provide immense improvement in your SEO strategy. « From Where Do the Best Content Creators Draw Their Inspiration?